On Saturday, June 3rd, we had an awesome crew of Rotarians that came out to help pick up trash on our Rotarians at Work Day. A big thank you to Bob Himmelreich, Kay Eason, Victoria Dupuis, Cody Bengoa, Tea Bengoa, Joel Bengoa and Mike Andrews. 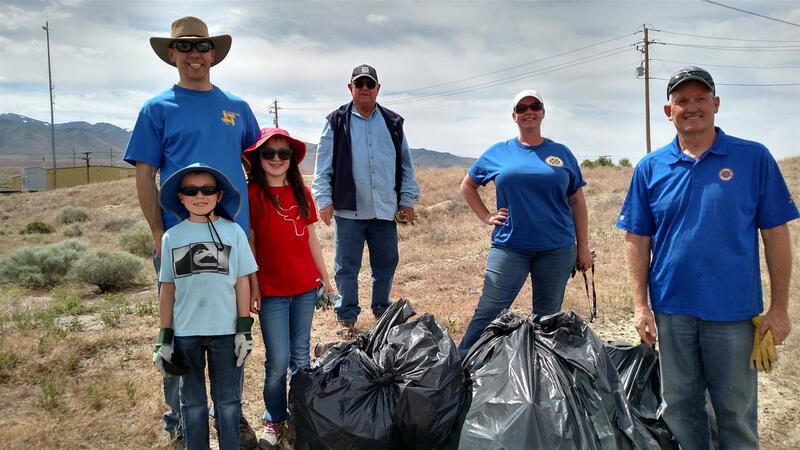 This group cleaned up along Railroad Street near Wal-Mart and Big R. That area is notorious for being heavily littered, and these volunteers were able to make a significant impact that morning. 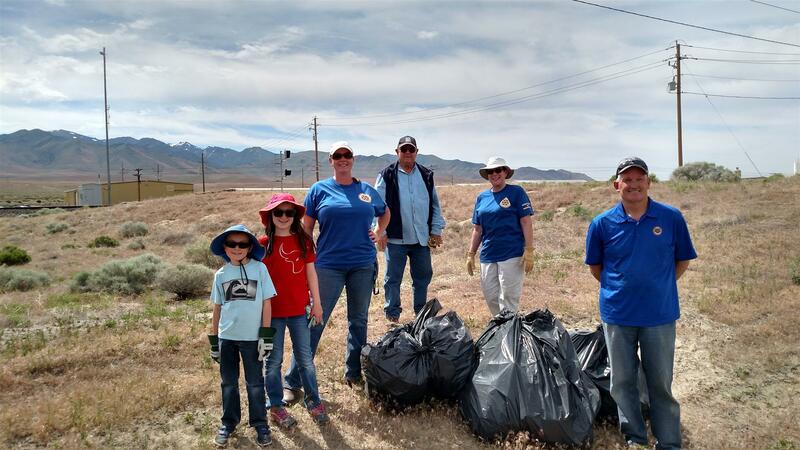 During the entire week prior, the City of Winnemucca was hosting a "Clean Up our Community" drive to encourage people to get out and help make our streets a bit cleaner. They asked our Rotary Club if we could have personnel on stand-by at local parks to hand out trash bags to any volunteers that day. We of course said yes! We love partnering with others to help make these events successful. Our Rotarians that handed out trash bags were Jo Ann Casalez and her son, Dave Mendiola and Walt "Bud" Vetter. Thank you to everyone in our community and our Rotarians for taking time out of your busy schedules to pick up trash and clean up our streets. Winnemucca is a great place to live, and if we all take care of it, it will remain an excellent community for our children in the future. Winnemucca Proud!